When I first heard Jerry Pearce sing I couldn’t believe my ears. Neither could my wife, who asked me if I was listening to the Sinatra channel on my Sirius/XM radio. It wasn’t the “Chairman of the Board” we were listening to, but a talented young man about to make his New York City debut August 18th. Mr. Pearce took some time out of his day to talk to me about the music he has loved since he was a child. Mike Smith: You’re awfully young to have such an appreciation for these songs. 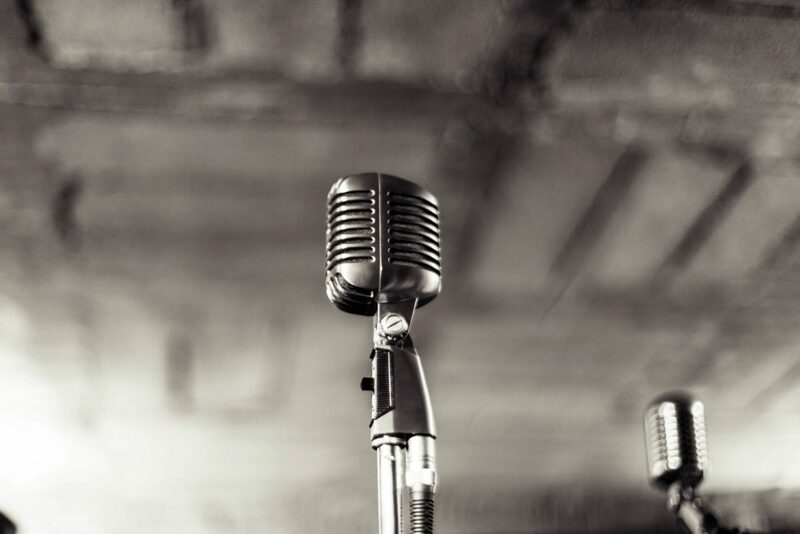 How did you get interested in this musical genre’? Jerry Pearce: My grandfather was a truck driver for 30 years. When he retired he took a job “under the table” and delivered stuff with his own truck. I would ride in the truck with him and he would play the same Sinatra CD over and over and over. Somehow it got stuck in my head. MS: This gig you have coming up…how did it come about? JP: I had performed in two concerts. One last December and one in May which were put on by a non-profit organization to promote music education for children. I then took part in a Frank Sinatra contest that was held in Hoboken, New Jersey (Sinatra’s home town) in June and won 1st Prize. A friend of mine named Gary Wilner, who is a singer and ventriloquist, sent a clip of my performance to the owner of the Metropolitan Room in New York City. The owner called me and within a week we had set up a date. MS: Hoboken? That’s pretty bold, singing Sinatra in his hometown. That’s like going to Freehold, New Jersey and singing Springsteen! JP: (laughing) I know, right. MS: When you sing are you intentionally trying to sound like Sinatra or is that your normal voice? JP: That’s my voice. I really don’t try to imitate anyone. I have been told often that I sound like Sinatra but I’ve also been told a couple of times that I sound like Perry Como, which is very flattering. MS: All you need is a sweater. JP: (laughs) Right. (NOTE: Besides an amazing voice, Perry Como was known for almost always wearing a Cardigan sweater). MS: Tell me about your gig this Friday night. JP: It’s basically a tribute to THE GREAT AMERICAN SONGBOOK. 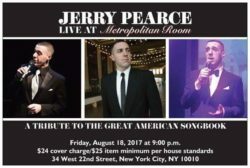 It will be held at the Metropolitan Room on West 22nd Street in New York City. Of course I’ll be honoring Sinatra, who is my favorite singer, but I will also be paying tribute to the great songwriters of the era. What they wrote was poetry. And I’m hoping to keep their music and their personalities in the spotlight.